After a year and a half later, I still look forward to my next Aerial yoga class. Since I learned it back in 2017 in Medellin, Colombia I have really felt in love with it. It uplifts my spirit, helps me to relax and also challenges me to trust the silk hammock. 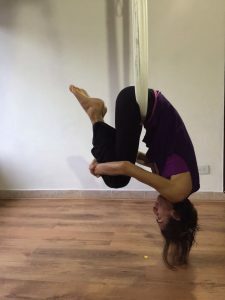 Lately, I have been working on my core and so I started taken Core Aerial yoga classes which are fantastic. The hammock really supports all the work I do and I leave the class feeling strong from an amazing workout. 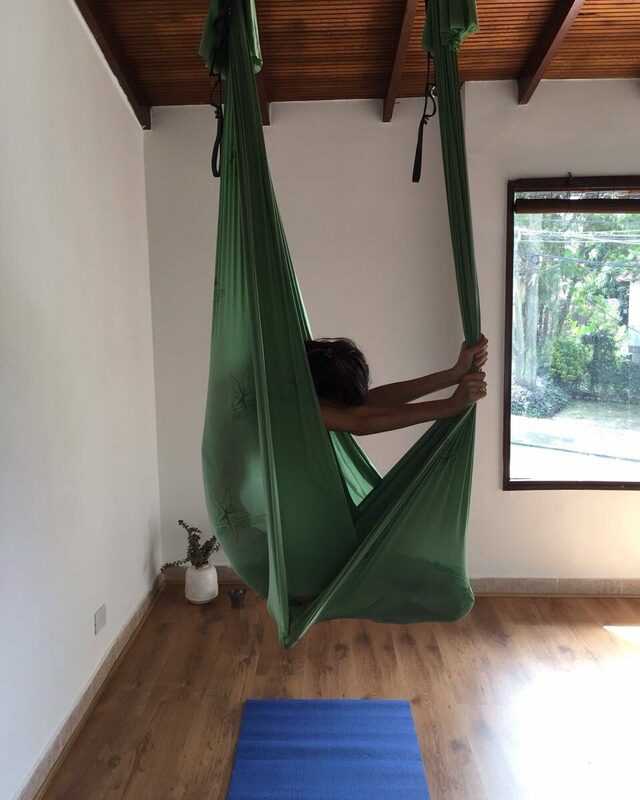 One method of Aerial yoga I discovered lately is called Unnata Aerial Yoga. 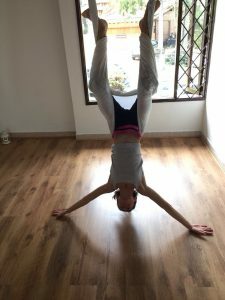 What caught my eye about it was the fact that it can guide you deeply into yoga practice – beyond just poses, flips and tricks. While these are thrilling and fun, they can often get in the way of real practice, being able to stay centered and get the real benefits of the practice. 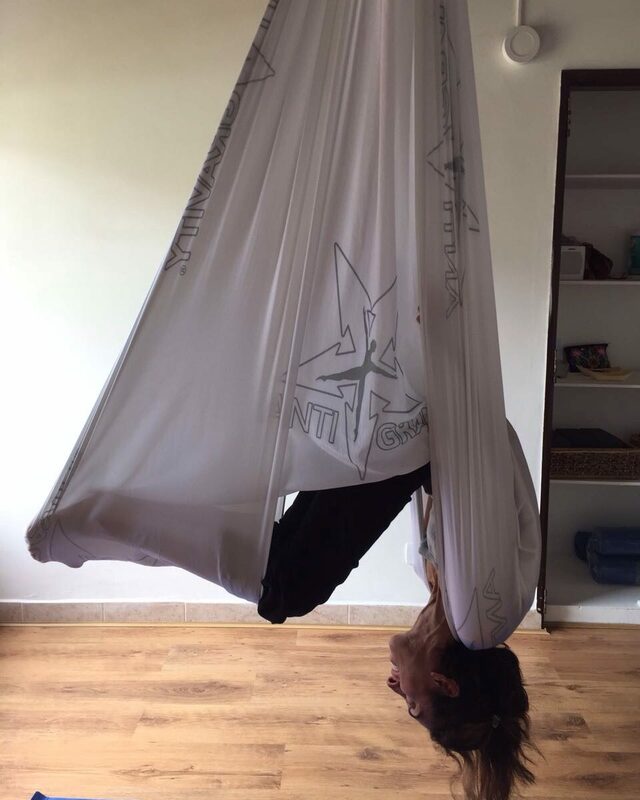 Until I can attend an Unnata Aerial yoga class, I will continue to deepen my practice in the silk being mindful of staying centered and not searching for the neat tricks I can do, etc., but to really use the gravity, the apparatus and my passion while practicing in the air. 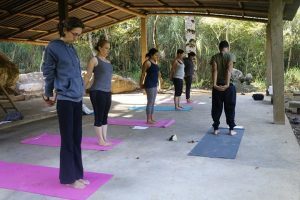 Last year to start the new year I went on a weekend yoga retreat at a cacao farm in Antioquia, Colombia. 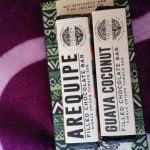 When it comes to passions, yoga and chocolate are at the top of the list, so it was easy for me to get excited by the idea of spending a weekend around nature, cacao, good people and two fun and great yoga teachers. 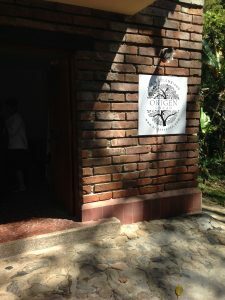 The retreat at Origen Cacao, the cacao farm where the retreat was held, consisted of 2 2hr yoga classes, vegetarian lunches, Ayurvedic Indian dinner, a cacao tour and times for walking around the farm to get to know the property, the farm animals, and the yoga space. It also included silent occasions where we focused on writing intentions for the new year. 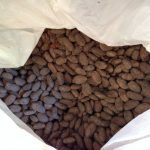 One of the intentions was to write about the obstacles that we felt were keeping us from grace and liberation and then we wrote about the things we needed to do in order to accomplish our dreams or goals for that year. At the end of the retreat, we had a simple fire ceremony where we threw the piece of paper with the obstacles into the fire letting them go completely. The yoga space was nice. It was big enough for all of us to practice and feel the air and nature around us as we did our morning and evening practices. Breathing in the cool air was such a refreshing feeling and looking ahead at the trees was really wonderful. The chocolate making process was extremely interesting. 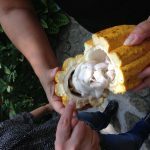 The owner of the farm took us through the whole process from the moment the cacao tree is planted all the way through when the chocolate is placed in molds and into the cooling and setting stage. We even had the opportunity to make our own chocolate and chose the different ingredients to add to the base. It was a lot of fun and very inspiring. 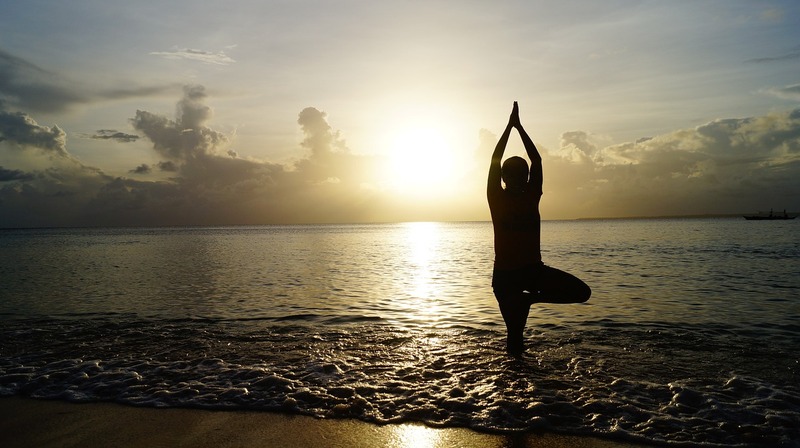 It’s interesting to feel how the practice of yoga can be done in so many different environments. You can lay your mat anywhere from a yoga studio to a chocolate farm or a beautiful beach in the Caribbean or the Coast in South America. Each one gives you a different experience and place to do your practice. If you have a story to share about your yoga practice outside of your home or yoga studio, please feel free to share with me below. Or if you have any comments or question, please send those over using the space below. 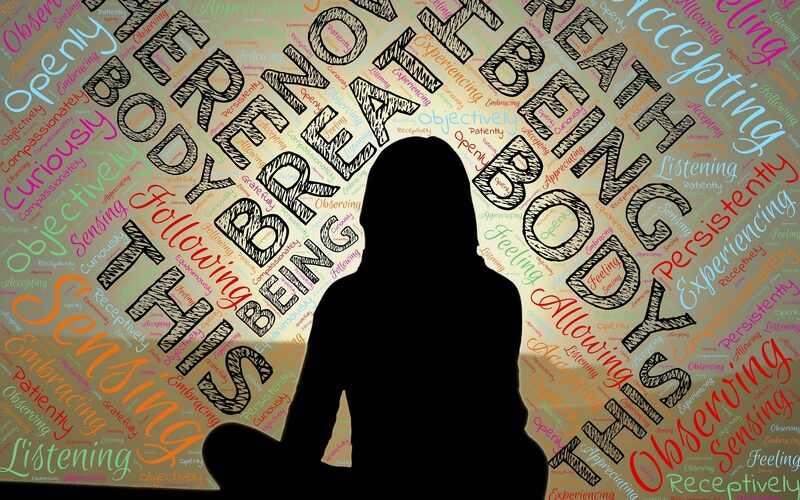 Recently during one of my Hatha Yoga classes, one of my yoga instructors talked about the asana and the importance of doing yoga on your own or self-practice. I found it extremely useful to have that discussion on that topic because, by tendency, I rely too much on assisting to the classes instead of practicing on my own. 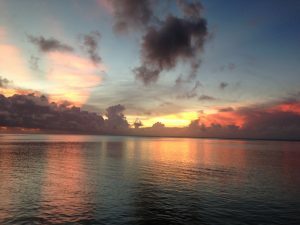 Interestingly enough, I was away for a month at the Hermitage Island of Naitauba in Fiji where I went for a service retreat. As part of the morning routine, while you are on the retreat, there is time for yoga. However, it’s not guided by anyone, so I had the opportunity of doing the yoga practice on my own. It was ecstatic because I really wanted to challenge myself to do a yoga routine every day. I took one day off though as I felt that was necessary. 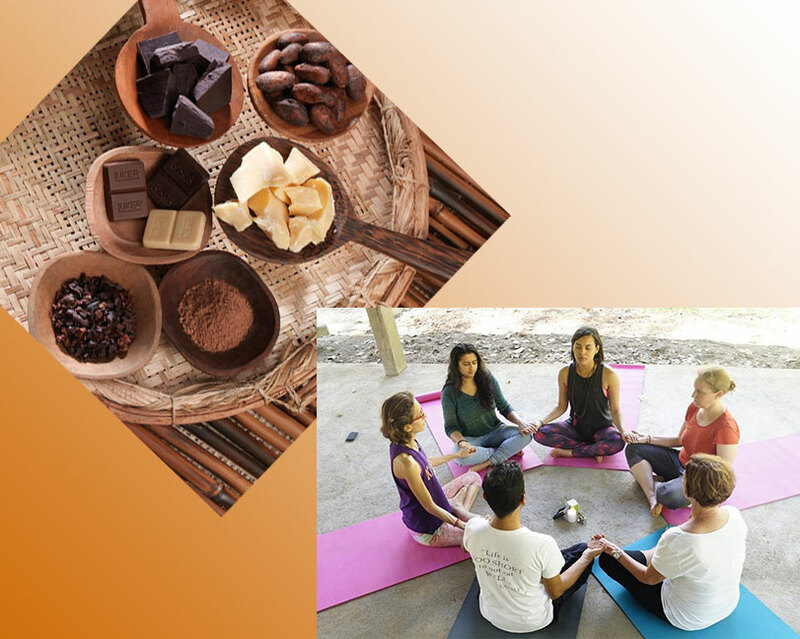 It was truly about discipline and listening to my body for what it needed each day as I began each yoga session, and after each one, I felt very energized and strong which was extremely helpful in meditation and in performing my service there. Since I have been back, I have tried to practice whenever I don’t go to class. I find that doing yoga on my own has also helped me to feel more confident about teaching yoga classes soon. It’s my next challenge and with the self-practice, I can get creative trying different routines. It’s fun! Today I learned the interesting background about the yoga posture called Marichyasana – sometimes called Marichi’s Pose or the Sage’s Pose. Marichi means Ray of Light, either from the sun or the moon. 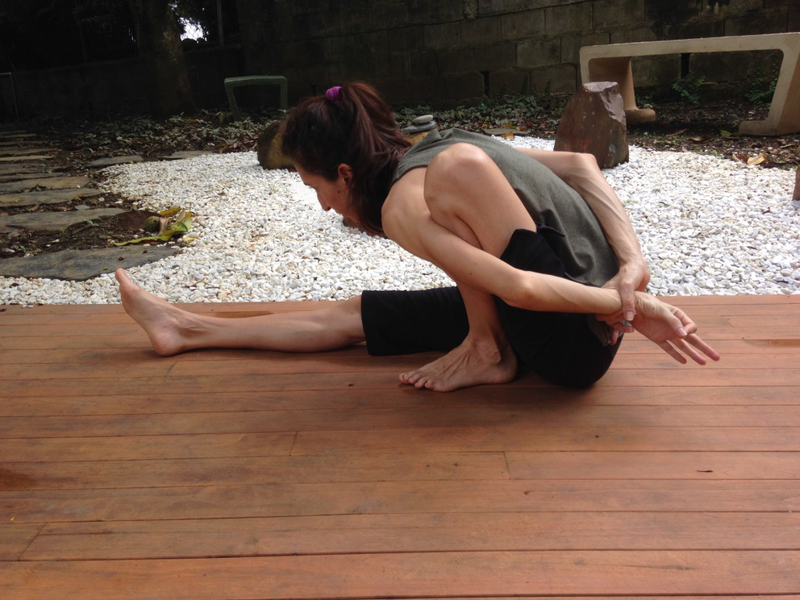 Marichyasana is a seated, twisting yoga posture that strengthens and stretches your vertebral column and it stretches your shoulders, releasing tension and stiffness in your back, your shoulders and your neck. Watch this video on how to do this posture. According Hindu mythology, Brahma, the divine creator had seven sons or “Mansaputras” and Marichi was one of Brahma’s sons. Marichi’s own children include Kashypapa, who was known as the ‘Lord of Creatures and Marichi’s grandson was the sun god Surya, the giver of life who is the god to whom Surya Namaskara or Sun Salutation is dedicated and his great-grandson was Manu, the father of humanity. The Sanskrit root for the first three letters of Manu is ‘to think’ and this gave rise to the word man in the English language. You decided to check out a yoga class and you are sitting down on your mat in a comfortable meditation position as you begin to chant “OM” and you begin to ask yourself, what is OM? You might start to wonder what is it about OM that makes yogis and yoginis chant this two letters with so much passion and intention? Om is the eternal sound, the sound of the universe, the primal, core, profound cosmic sound, and it creates a vibrational frequency of harmony in the body. 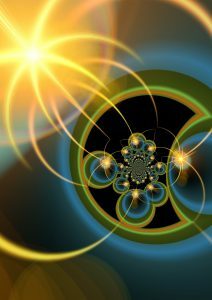 OM aligns our energy and creates a feeling of openness and expansion as well as unity and love. 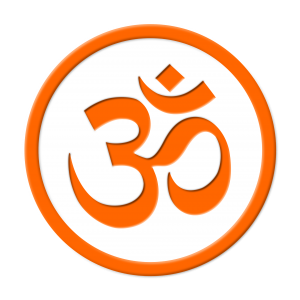 In Sanskrit, the word OM is made up of the three syllables A-U-M. The sound “O” is a diphthong written as “AU”. Each letter represents the 3 divisions of time or psychological states, and visually, the symbol OM consists of three curves, one semicircle, and a dot. The large curve at the bottom symbolizes the waking state or A, the middle curve signifies the dreaming state or U, and the curve at the top is the symbol for the deep sleep state or M. The dot is the fourth state which symbolizes the transcendental state of consciousness also known as Turiya. The semi-circle at the top, which separates the dot from the other three curves, represents Maya or the veil of illusion. 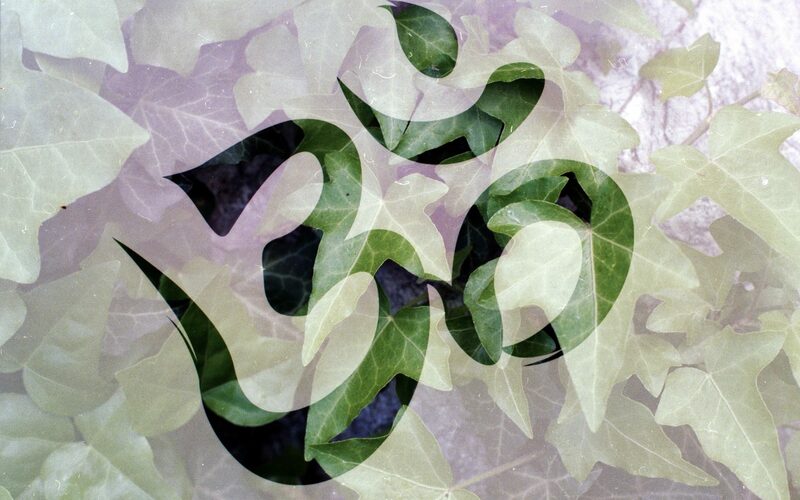 When chanting OM I can consciously feel the “A” sound as it originates from the back of the throat opening the heart. As the “U” sound glides from the openness feeling created by the “A”, “U” is felt in the navel or abdomen region of the body. And finally, the “M” sound is felt in the region of the head as my mouth fully closes. Just like when doing physical yoga asanas, I find chanting OM can be energizing and calming as it moves the life force to integrate the three main centers of the body-mind (head, heart, and navel) into its inherent wholeness – all the while consciously breathing in time with the chant. Whether I am chanting OM at the beginning or at the end of yoga class, or in a meditative setting, or in the midst of everyday life, I can really feel the impact this mantra has when I deeply feel its meaning. It’s such a primal sound prior to everything and anything that as I begin to tap into its essence, which is nonseparate from the universe, consciousness or myself, I can really just let go and tacitly know that OM is all there is. Before OM, there is silence and after OM there is silence, but silence still exists while the sound is uttered because OM really helps to tune-in into that silence like no other sound does. Silence feels to me like the ever-present, timeless nature of existence or consciousness itself, because consciousness doesn’t have any sound yet is present and aware at all times. Next time you hear the OM chant or you are invited to chant it, I hope you can find its calming and energizing nature too. If you have any comments or questions, feel free to leave them below and I will be happy to respond. This year I decided to invest in taking the 200-hour yoga teacher training program. I wanted to take it to deepen my practice and to learn how to teach. I feel I have come to a point in my practice where the passion I have for yoga needs to grow — there is so much about it that I am just beginning to learn and grasp. I also feel an impulse to share my passion with others via teaching yoga, because I have felt how inspiring it is to see others grow in their own practice and to see new people get excited and committed to practicing it.